The place that we can eat ramen early in the morning ! I had eaten seasonal ramen like asari clam ramen and oysters ramen only at Yajima. But that day, I felt like eating simple ramen. I saw people in the shop while waiting my ramen. All except me seemed to be people who work in the market or drunk until the morning. But I don’t mind any more ! The noodles were narrow. 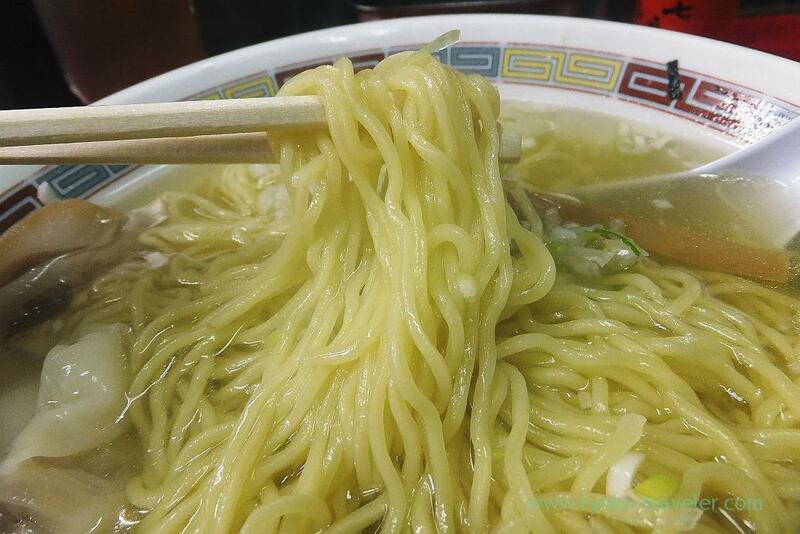 It was really light taste ramen and it was easy for me to eat the ramen in the morning. 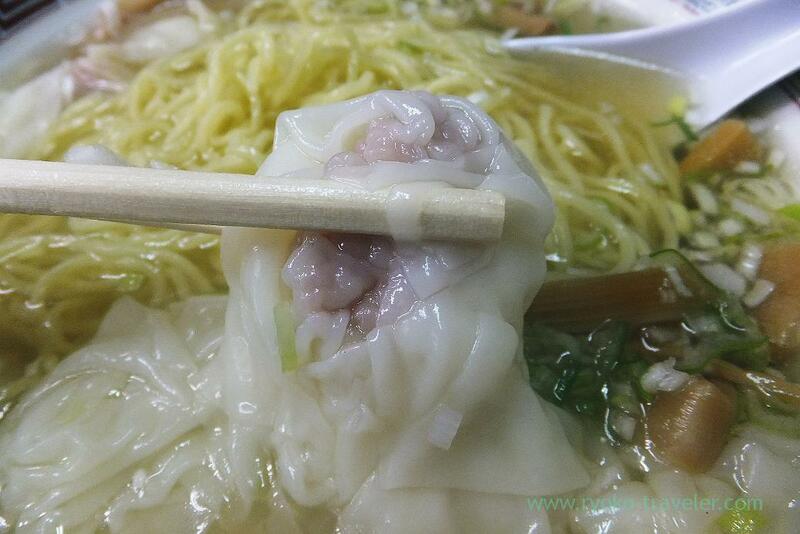 Smooth wonton. Its texture was fun ! 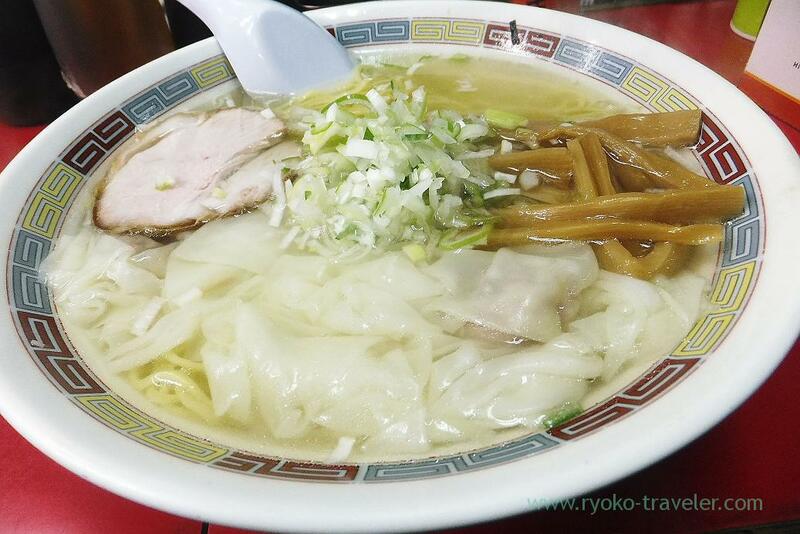 As a whole, Yajima’s ramen is mild, not fatty and not have too much salt. So, it’s good for people who drunk until the morning 😛 But be careful when you go to there after drunk. 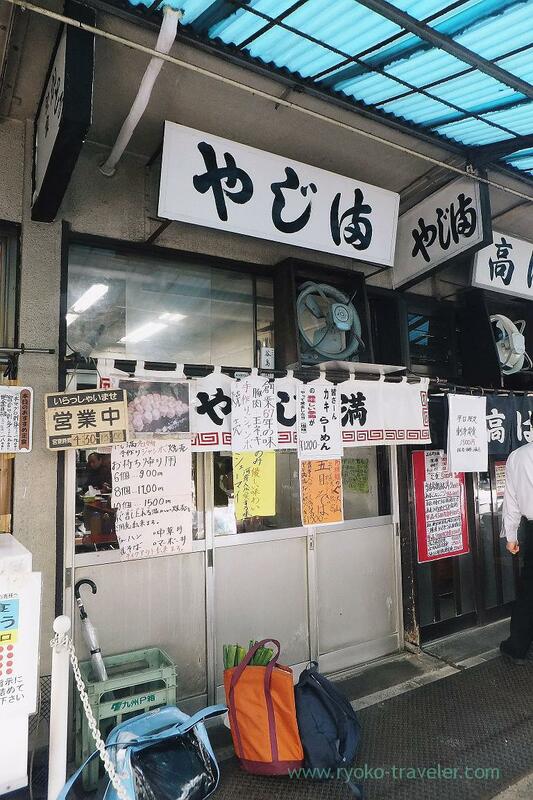 Shops in Tsukiji Market don’t allow people who get drunk enter their shop. When you go to there, you should make yourself sober.